Stuck In The Buckosphere: Bought our first house!!! Tuesday was a huge day for Dawn and me... 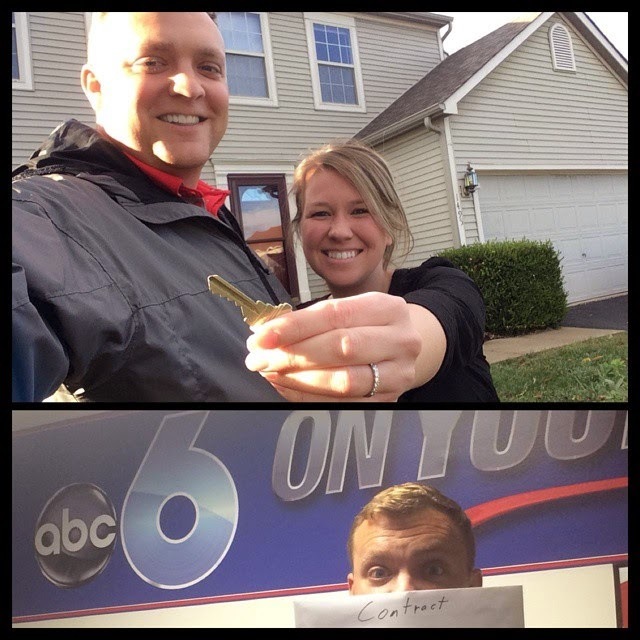 I signed a new contract at the station... AND... we closed on our first house. Super excited to have a home to actually call home. We are stoked! Doing some small repairs around the house now, but the big move is just a couple weeks away. 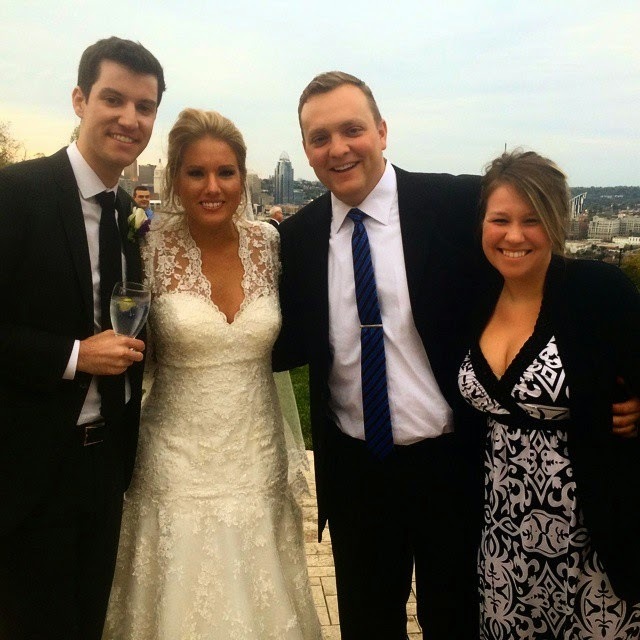 We went down to Cincinnati for a wedding yesterday. So excited for Billy and Molly! We are expecting some rain for Monday... Scattered showers or a few storms that are not likely to be severe. Tuesday though will be a different story. We could see some storms with VERY strong winds. 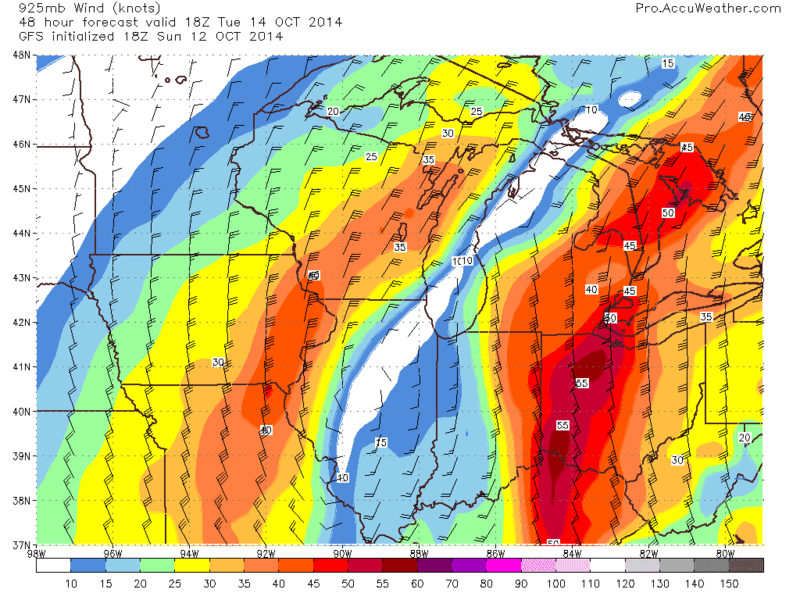 The above image is a model forecast of the winds about a thousand feet in the air. You can see the winds are over 60 mph. If the storms downdraft pulls that down then we could have some pretty significant damage. Be sure to stay weather aware on Tuesday and Tuesday night. A few lingering showers on and off for Wednesday and even fewer Thursday... then we cool off and dry off for the weekend. Have a good one! Zombies, brother's birthday, and SNOW!! !